Cash for Car Removals not only purchases and removes derelict vehicles, we also buy spare car parts that are no longer wanted. If you live anywhere in Melbourne and have some spare auto parts lying around your property, then we will gladly buy it. We bargain in any sort of extra part from all makes and model of Japanese, Nissan, Subaru, Mitsubishi, and more. Our price offer will depend on the type of spare part and its overall condition. But what if your spare part is old and no longer operational? Worry not! We will still buy it. Windscreens, gearboxes, engines, axles and diffs, bumpers, headlights, guards, interiors, and car doors are only some of the auto spare parts that we often salvage, fix and resell. Again, do not worry if the parts mentioned above are already broken. You do not have to spend money in getting them fixed because we will handle all of that for you. Vehicle recycling is the destroying of vehicles for any reusable parts. Toward the end of their functional life cycles, vehicles are known as a wellspring of extra parts and this has made a vehicle disassembling industry such a successful business. Car recycling are also known for its different business outlet including junk yard, auto disassembling yard, auto parts supplier, and car removal. There are a lot of Melbourne car removal companies out there, so why sell your spare parts to us at Cash For Car Removals? One main reason why our previous clients chose to sell their auto spare parts for us is that we provide the fastest, most efficient services in the city. We know how valuable your time is, and wasting it is the last thing we want to do. Because of that, we have formulated a process that doesn’t require you to do all the work yourself. Less paperwork, more profit. The second reason why our clients like us is that we buy virtually any spare auto parts in Melbourne. We do not choose the scraps that we buy, if you have a spare auto part such as a broken headlight, car door, or anything else, you can contact us and we will give you a free price quote right away. The third reason why our clients choose our scrap car removal service is that we are the top paying car removal company in Melbourne. With the help of our skilled car removal experts as well as a specialized software, we can provide you with the highest appraisal for your auto parts. And we do it fast. Cash for Car Removals constantly monitors our competitors’ prices, allowing us to beat their offers. Moreover, we are proud to say that we have a 0% complain ration and a 100% after sale service.​This ensures that all of our clients receive only the best service that they deserve. But what if you’re the one who is in need of a spare part for your operational vehicle? What if your right headlight is busted and you’re looking for a cheap replacement? Then call us! Not only do we buy auto parts, we also sell them as well! Melbourne car owners sometimes complain about the expense of buying spare parts from the manufacturers. If you are among them, then you know what I am talking about. Again, those are only some of the parts that we buy and sell, so don’t worry if you don’t find the auto part you need in the list above. We have a wide range of spare parts in our inventory. Before choosing to buy directly from a manufacturer (which will definitely cost you a lot of money), try buying spare parts from us today! 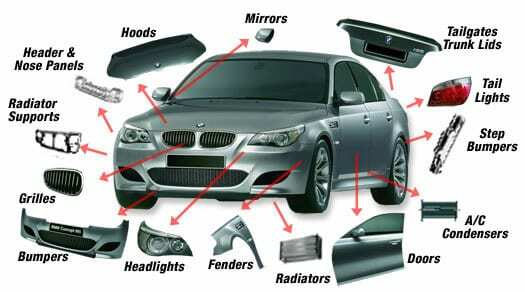 We ensure you that all of the parts in our inventory are of good quality, free from defects, and are fully functional. What are you waiting for? Call us at 03​8774 7178 or send us an email at quote@cashforcarremovals.com.au today!